Well this was to say the least an extremely eventful week with moves calls more food than what is healthy and 6(+1 soon to be) Special witnesses of the our Lord Jesus Christ came to visit us and share their testimonies with us. Starting from the top, moves calls: Well we basically new a lot was going to happen but then every single companionship in the zone changed so it was pretty big. Little Malaysian Wong moved to Ngau Tau Kok and my new Companion Canada Wong moved here to Aberdeen (I have to distinguish the Wongs because there is 3 of them here in the mission). I will miss my old Wong and am excited for the new Wong. We actually entered the MTC together so its pretty awesome to serve with him as two seasoned missionaries. 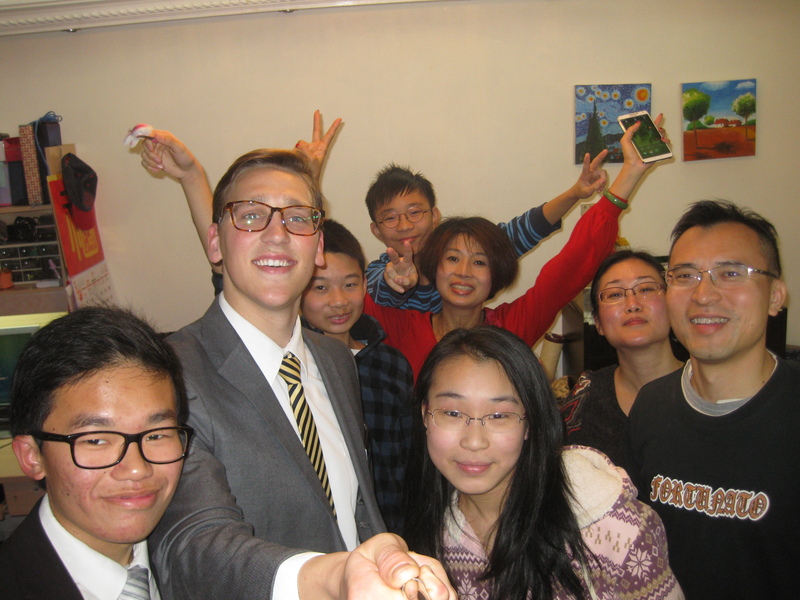 We have already gotten off to a great start because he has an amazing way of connecting with these people way better than any of my Chinese companions he is very loud and very talkative and a very good finder. Also the very stereotypical Chinese nerd who loves gaming and science. I love him. 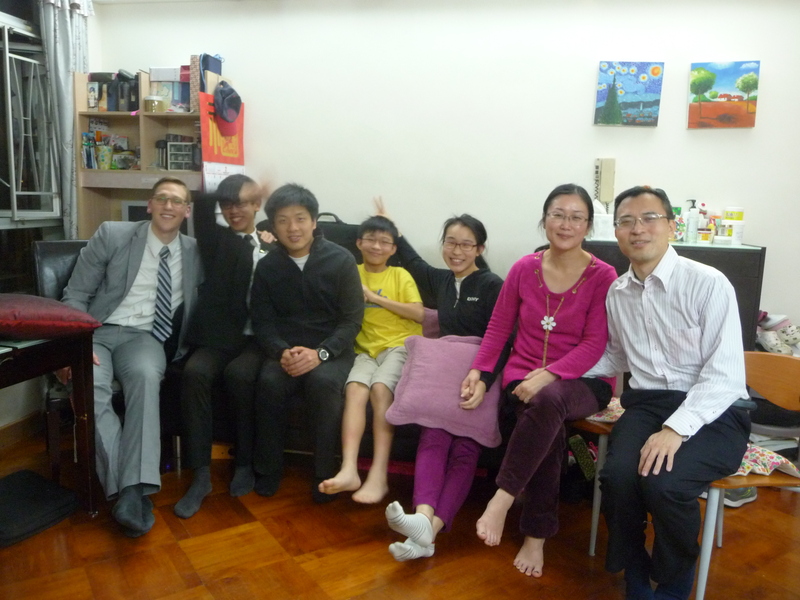 Because of Elder Wong leaving and Elder Wong coming our members and investigators were shedding tears and excited to welcome a new missionary. Because of that we ended up having a lot of meal appointments and man I feel like its gonna take awhile to get that all down! The best was one day we went to this Thai restaurant for lunch with 2 people and again for dinner with another person. Man and it was delicious! But the crowing event of course was to be able to have a special visit and hear from An Apostle Elder Ballard, The senior president of the seventy President Rasband (again), The Presiding Bishop of the church Bishop Stevenson; Plus the Asia area presidency Elder Gong, Elder Wong, and Elder Funk; not to mention the soon to be seventy President Hawks. So 7 powerful men and we got the chance to hear from them two days in a row. Once by ourselves and the other with our investigators and members. Truly truly amazing, they ended up talking for over 2 1/2 hours and we were very much uplifted. Its amazing because as a mission we are very obedient so it was good because then we could hear about other things and this time was teaching skills. Which to cover a big part was in the first words spoken by Elder Ballard “we are all a little bit too shy” and another quote he shared from an experience with him and Legrand Richards, Legrand Richards saying “you know what the problem with this church is? we don’t have any more preachers” they gave us the call to be the best and be bold. I could go own with everything that was shared but it was moving and the Kwok family loved his message the second day were we got to see him apply all that he told us. All of them are very powerful and man I am so blessed because this is my 4th visit from a general authority not counting the MTC. All of this excitement is happening at the right time to get me motivated. I am entering the 4th quarter of my mission and I have worked hard but its time to look where I have been lacking and step up my game! Here is a dinner appointment at our bishops house with our investigator Eric and my new comp. Well this past week has been an interesting one. 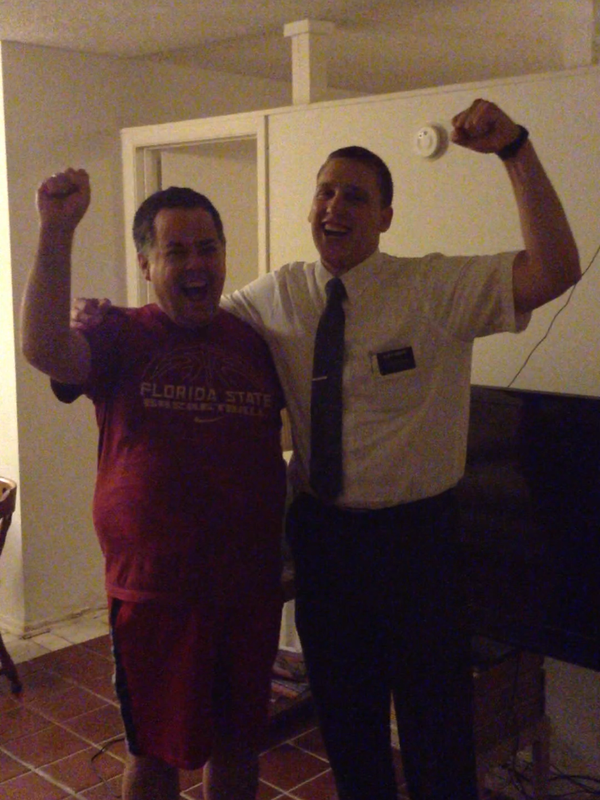 Elder Hamilton got shipped out and got replaced by Elder Fraizer. He is from Washington State and was actually trained by Elder Newbold just before Elder Newbold trained me. He just hit the ground running, and we never missed a beat. It is interesting to see that the longer I have been out the easier adjusting to a companion seems to be. We had a zone meeting the next day that went great, an exchange the day after, and then conference all weekend! We have been crazy busy since we drove away from transfers! After this weekend though it seems pretty solid that Kevin & Lori, Jim, Steven and Lilly will all be baptized this month! The ward is behind all of them 100% and it is just so incredible to see! It seems that every week my mission just gets better and better! General Conference was amazing this weekend!! If you didn’t get the chance to watch or listen to it, check it out. I personally loved Elder Ballard’s talk a lot now that I think about that one. 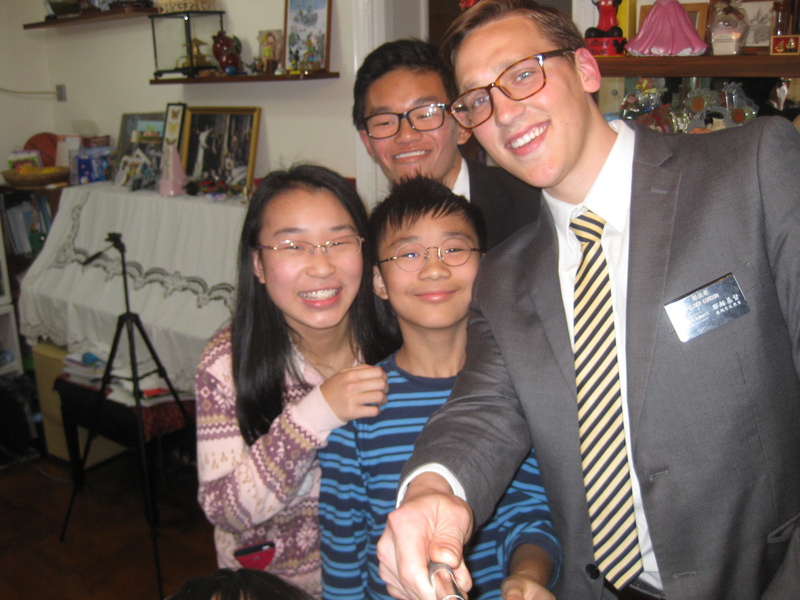 He has really grown on me since I have been a missionary. Before I could tell you who my favorite apostle was, now I am starting to appreciate them all! So a good story from this past week was the lesson we taught to Steven about the health law of the church. After teaching the lesson we extended the commitment to him to live this commandment which includes no: Coffee, Tea, Alcohol, Tobacco, or Illegal Drugs. He said he would start it all as soon as he ran out of Tea. Honestly not wanting him to put off the blessings that could flow his way if he where to start immediately I invited him to start living it immediately and throw out all of his tea right now. After a brief moment of contemplation he said alright, if you walk with me to the dumpster. As we walked I sung “onward christian soldiers.” It was epic! I wish you could only know Stevo and you would realize how hilarious this was! As we walked he yelled, “Today, is a day of VICTORY”! Just before he dumped them I suggested that he say a prayer asking for strength to live the word of wisdom from here on out. He started the prayer by saying, “Dear Heavenly Father, today is a day of victory, victory over the demon of tea!..” It was awesome!! 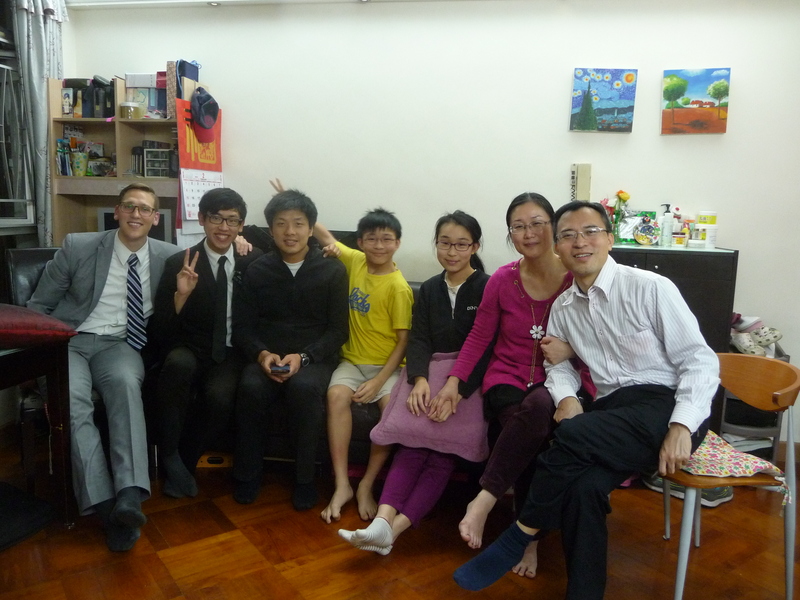 I love these moments on my mission definitely one of my favorite experiences! I hope today will be a day of victory for all of ya’ll, a victory over your own personal demons!